Contact Joan at 814-434-4580 or Foo 814-602-5057 to reserve your spot. Hours of saddle time each day – lots of individual instruction - free time – time and attention to other disciplines you might be interested in. Space is limited – sign up early. Bring your horse and his needs, your personal needs, and a good attitude. We’ll provide the stall, the food and housing for you, and a promise you will learn a bunch and thoroughly enjoy yourself. If you need more information, please email Joan at joan@everwind.com. If you want references from past campers, just let us know. We’ll get you a list. 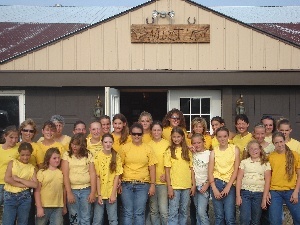 Barrel, poles, horsemanship, all regular camp activities for $475.00. 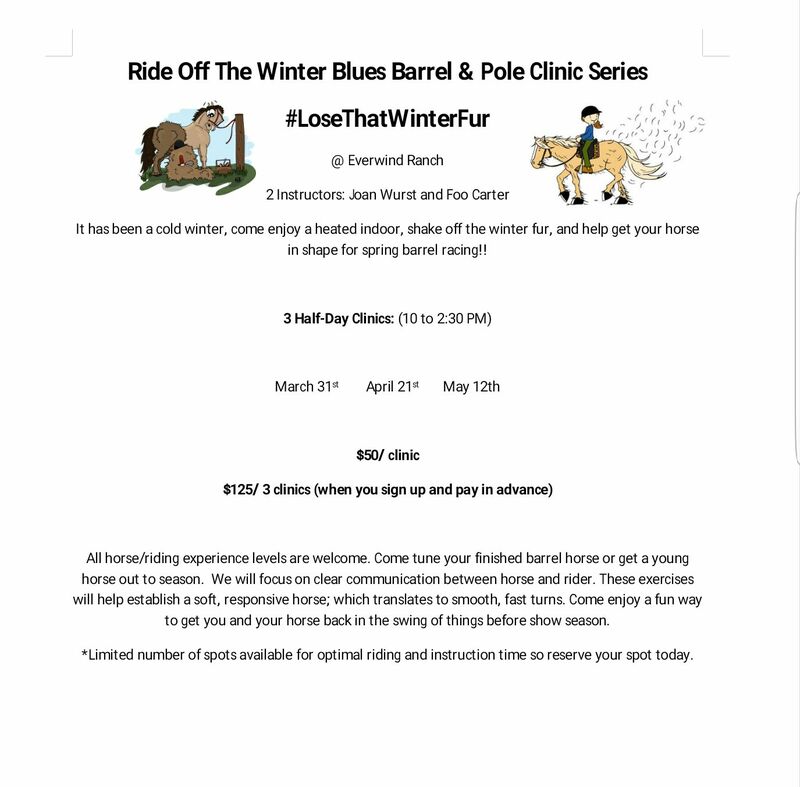 Barrel Racing and Horsemanship lessons always offered, all levels of experience welcome. © 2015 Joan E. Wurst & Everwind Ranch. All rights reserved.